The very mention of the word makes me nervous. I’m cautious with my dogs to a fault. Thankfully, none of them have had bloat, but if one of them is not acting right, I’m paying attention. I instinctively reach down and feel the dog’s tummy to see if it’s swollen or distended. It’s true. I confess. I’m a helicopter dog mom. I worry. 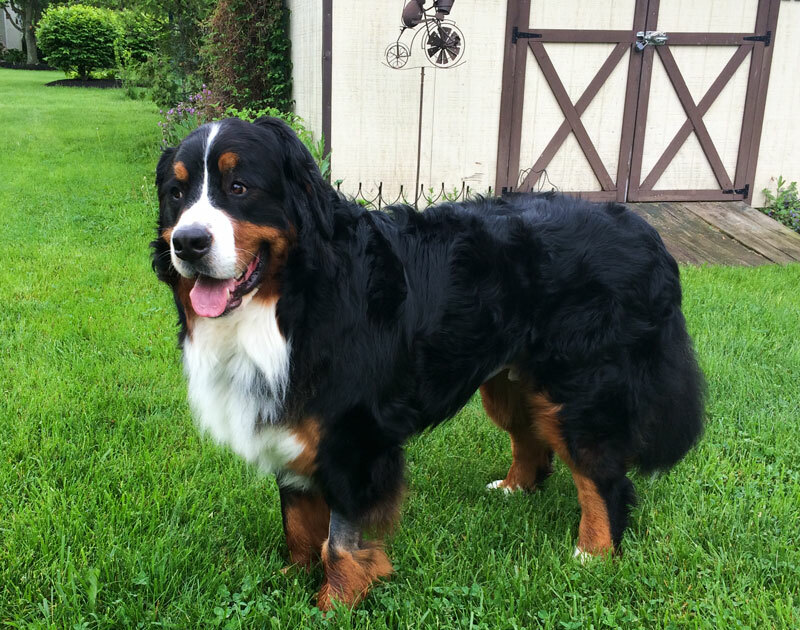 Bloat is common in deep-chested dogs, and every owner of a Bernese Mountain Dog should learn about the condition. Bloat in dogs is a life-threatening emergency and it can kill the dog very quickly. Time is of the essence when you see symptoms. Symptoms can be as subtle as a dog appearing restless or uncomfortable. Would you recognize the symptoms of bloat? “Harley’s acting funny.” Those were the words my friend Sheri heard from her husband, Chuck, one evening last May. “What do you mean,” Sheri asked. Chuck responded that he didn’t know. He just thought that Harley, their Bernese Mountain Dog, seemed funny. Sheri went out to her back yard to check on Harley. He was sitting by the shed. Sheri called him. The dog that normally comes right away took a couple of steps and sat down. She called him again. Harley took a couple more steps and sat down. He looked uncomfortable. She tried to get him to play. He wouldn’t. 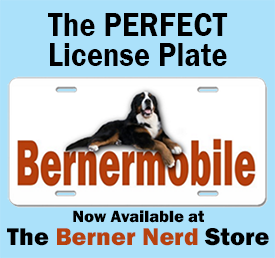 Check Out The Berner Nerd Store! Sheri reached down, put her hands around Harley and felt his belly. It was enormous. She called her mom, who raises German Shepherds, and explained that Harley wasn’t acting right and that his tummy was big and bloated. During that phone call, Harley started to gag as though to vomit, but Harley didn’t vomit. Nothing came up. Sheri knew right away that Harley had to get to the vet immediately. 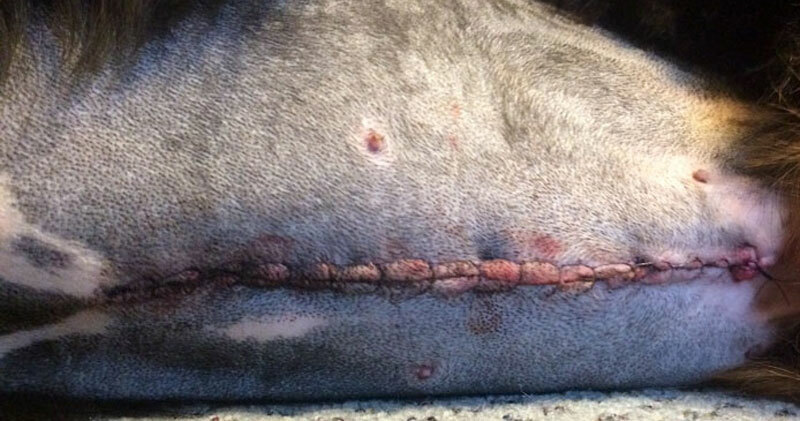 Harley’s stitches after undergoing surgery for bloat. All photos courtesy of Sheri Wright Wagner. Harley ended up having surgery to untwist his stomach. They also had to remove a ruptured spleen as well as undergoing gastropexy, a surgical procedure to attach the stomach to the abdominal wall to help prevent the stomach from twisting again. Harley was alive, sporting a zipper of stitches up his belly. Once home post surgery, Sheri had to keep Harley calm. It was four weeks before Sheri took him for a walk around the block. In all, she kept him calm and close for about six weeks. 3 days after surgery for bloat, Harley was on his feet. After hearing Sheri’s story, I have become even more vigilant looking for signs of bloat and I try to avoid things that could possibly contribute to its onset. Sometimes the signs can be as subtle as “acting funny” as Sheri said. She said that if she didn’t know her dog so well, she never would have known something was wrong with him because they are such happy-go-lucky dogs. Here are a few things I do…besides worrying. I feed two meals per day so as not to feed too much at one time. I discourage my dogs from gulping large quantities of water right after a meal. I try to slow our youngest Bernese Mountain Dog down when he eats. He eats as though Armageddon was imminent, so I have a special feed bowl for him to slow his feeding frenzy. I wait until at least two hours after my dogs eat before I let them race around the yard. The same goes for the hour before meals. Oh yeah…did I mention that I worry? Here’s a link to an overview about bloat by the American College of Veterinary Surgeons. 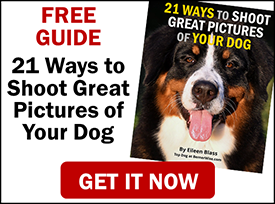 There is great information compiled by Pat Long here. Here’s a chart you can print out and put on your fridge. The slow feed bowl I use for Merlin is made by brake-fast. Here is a link to a blog post about dog bloat on the bowl manufacturer’s website. 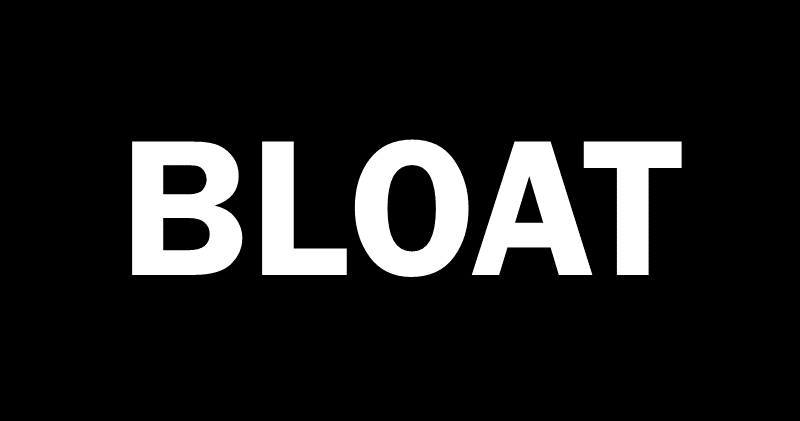 Here are some of the symptoms of bloat. Talk to your vet about what medication you should have on hand if you suspect bloat. ALWAYS call your vet immediately if you suspect bloat, but having a medication on hand is wise in case you are directed to give the dog something just before you drive to the vet. 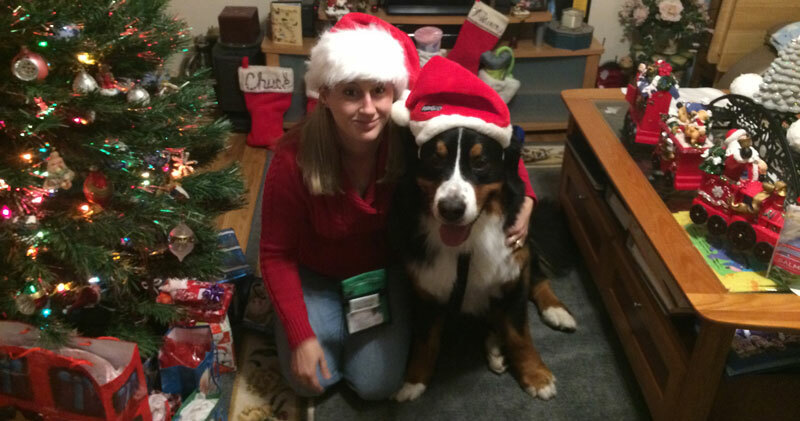 7 months after his bloat scare, Harley, a certified therapy dog, is dressed to visit an assisted living facility with Sheri. Harley shows no signs of the dire emergency he experienced last year. He is very much alive. In fact, Harley recently earned his Companion Dog obedience title and is ready to start competing in RallyO. And he’s back to being a therapy dog, improving the lives of others. Good job, Sheri and Harley! This is one thing that I also find terrifying. We chosen to have a prophylactic gastropexy done on our last three Berners at time of neutering/spaying. Yes, they can still get bloat. However, it is the torsion that kills so with the stomach already tacked, it is our hope that we can prevent this deadly awful killer. Thank you Eileen for posting this great story. Another important prevention, beside keeping quiet before and after meals, is feeding a raw diet. Or at least not kibble. Great article Eileen. Something we all need to be mindful of and the “little” signs that can be very easily missed!!!!! Thanks again for a great article!!! !